HBO is developing a series based on the epic fantasy Asunda series by author Sebastian A. Jones, per a report from Deadline. The series will be co-written and produced by Jones, and is set in the culturally rich but war-torn fantasy land. At the center of the Asunda mythology is Niobe Ayutami, an orphan girl born of two nations, conceived through violence and raised in a small desert town. The character was introduced in The Untamed, which was collected in graphic novel form in 2014. 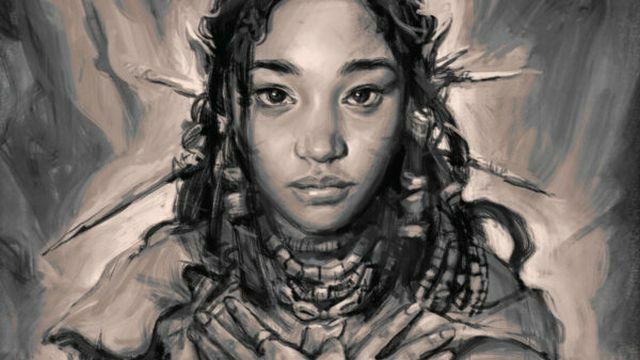 Niobe’s father was a king in a country modeled on England and Europe, while her mother was the kidnapped female chief of a nomadic tribe of elves who roam a jungle region modeled after West Africa. With a target on her back, Niobe will search for her ancestors and the courage to bind them against an ancient enemy. Jones’ series is inspired by J.R.R. Tolkien’s Middle-earth epics as well as Greek mythology. One can also draw similarities to George R.R. Martin’s Westeros, the world in which the HBO’s Game of Thrones takes place. Given that Game of Thrones will conclude this year, HBO is looking for something to fill that sword-and-sorcery void. The epic history of Asunda has been told through several titles published by Stranger Comics, among them Niobe, Dusu, Erathune and Essessa — all named for people or places in the larger world of Asunda, a culturally diverse land, but destroyed by generations of war.